Brecon boathouse is a picturesque site situated on the River Usk, in the shadows of the Brecon Beacons. It has existed as a boathouse since the early 1900's. 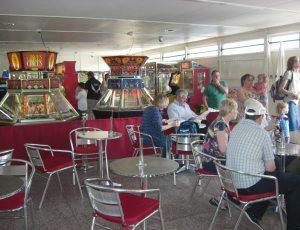 As well as boats and the tranquil river surroundings, there is a coffee shop, amusement arcade and park. All with ample parking. Whether It's a relaxing day enjoying the scenic river views, a gentle paddle or pedal along the river. Brecon boathouse is a great day out for all the family. There is something for everyone to enjoy. From Llanfaes bridge riverside footpath.